Since the prehistoric ages, and days of ancient Greece, mountain bike gloves have been increasing grip and reducing fatigue. Whether you're cruising the trails or bombin' down the mountain, you'll benefit from wearing gloves. 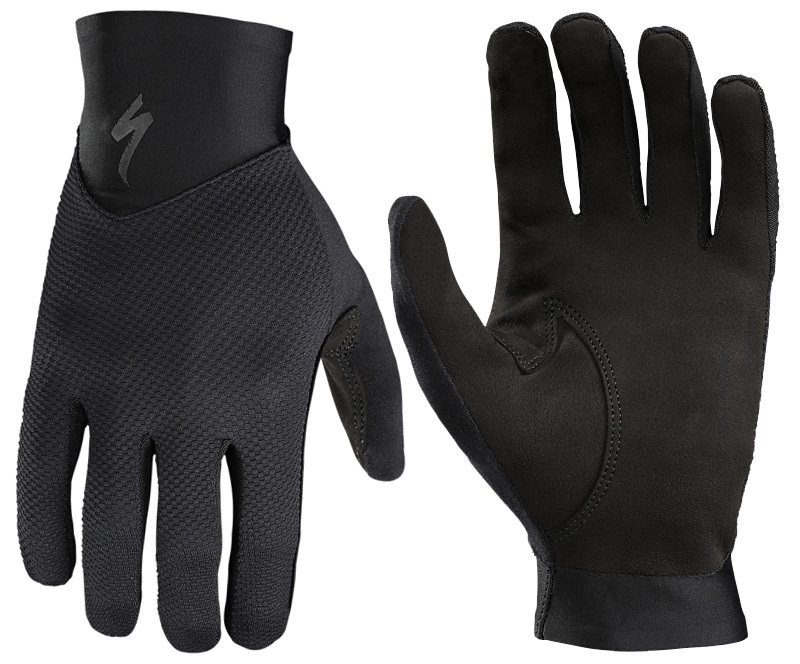 The Specialized Renegade Long Finger Gloves are designed to the ultimate in comfort. The feature a pre-curved finger construction that provides the maximum degree of articulation for enhanced bar control. The high-stretch knit cuffs are finished with Bemis tape for a clean and flat fit. 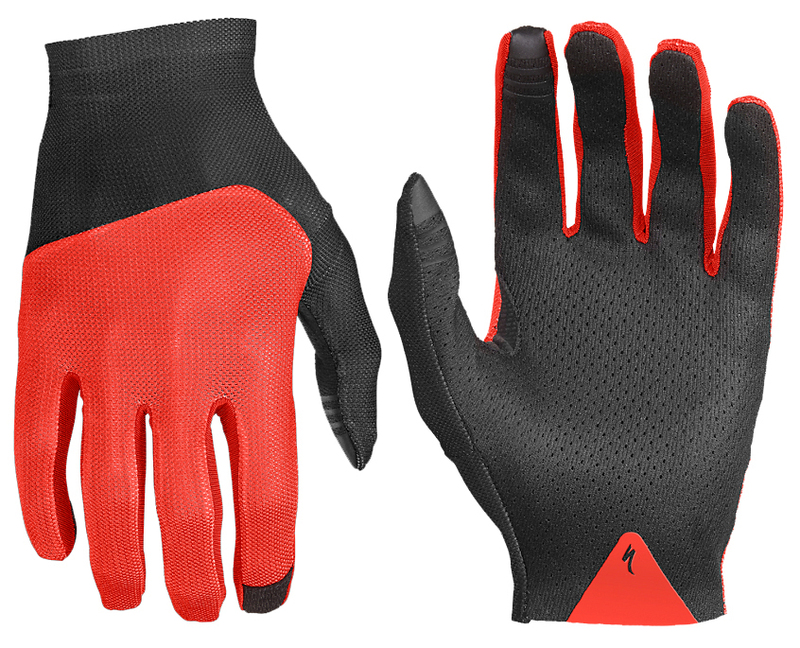 The top of the hands has a mesh that is highly breathable so your hands will stay dry and comfortable. If you're worried about not being able to take that selfie while you're out on your ride, the conductive silicone print on the thumb, pointer, and middle fingers allow you to be able to use your smartphone with ease.